When lab reports reveal that the body was not Lucy, but a teen runaway named Kyra whose disappearance has been linked with other missing persons—more than half a dozen “lost girls” who disappeared while living on the streets of Portland—the investigation takes a drastic turn. How did Kyra come to land at the Jameson estate in rural Oregon, and what was she doing driving their car? And who cut the brake lines on the vehicle? Just when Laura is making progress in the case, she comes across a suspicious lane in the forest that uncovers new evidence that will once again alter the course of the investigation and rock Sunrise Lake to its core. R. J. Noonan’s electrifying mystery will resonate with fans of Lisa Gardner and Lisa Jackson. I think the protagonist, Laura Mori, is one of the first millennial detectives in crime fiction. She is unique as a representative of her generation who also adheres to the more traditional values of her Japanese parents and ancestry. Laura is a fish out of water, but she feels at ease in the suburban town of Sunrise Lake. She is polite and respectful, but she is no shrinking violet. Those contradictions made her an intriguing character to write. 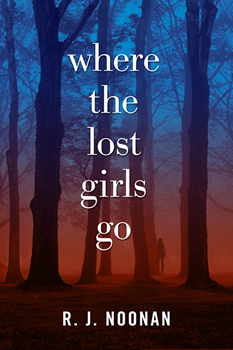 In many waysWHERE THE LOST GIRLS GO is an homage to the Oregon town our family moved to nearly 15 years ago. My husband and I grew up on the east coast and our kids were raised in a diverse area of Queens, New York, where hazards seemed plentiful and parents were protective. When we moved to Oregon, kids grabbed their bikes and rode off through the neighborhood. My son went down to the creek to catch lizards. Children walked to school on off-street paths. When I remarked about the freedom here, a friend told me “That’s right! You just stepped into a Norman Rockwell painting.” Of course, there are good and bad people everywhere. I wanted to show an old-fashioned community that was perfect on the surface, but surprising when you peeled back the layers. When I was a kid we passed around Sidney Sheldon’s The Other Side of Midnight like contraband, and oh, the lust, cruelty and deception, the twists and turns! I was hooked. 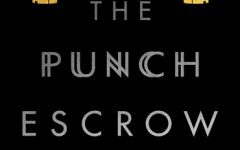 Now as a reader I am attracted to crime novels with great characterizations. The way Stephen King gets under a man’s skin. The poignant childhood memories of a Laura Lippman character that explain why they are acting oddly as an adult. Long after a novel has ended, it’s the characters that stay in my mind. 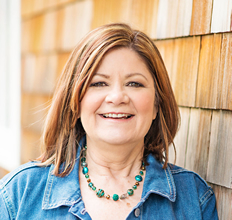 Rosalind Noonan is the New York Times bestselling author of highly acclaimed women’s fiction and domestic suspense novels, including And Then She Was Gone, The Daughter She Used to Be, and Pretty, Nasty, Lovely for Kensington Books. She co-authored the bestselling collaborative novels Sinister and Ominous with Lisa Jackson and Nancy Bush. For Crooked Lane Books she writes the Laura Mori crime novels under the name R. J. Noonan. Rosalind Noonan lives in the Pacific Northwest, where she writes in the shade of some towering two-hundred-year-old Douglas fir trees.